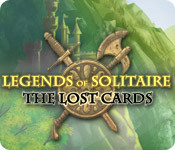 Legends of Solitaire: The Lost Cards is rated 4.2 out of 5 by 69. Rated 5 out of 5 by cabanaeast18 from Fun all around solitaire! Good, fun game in every way. 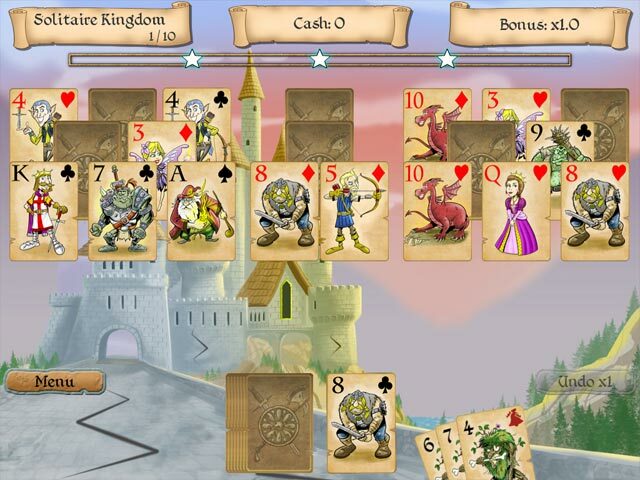 Will there be another "Legend of Solitaire" game? 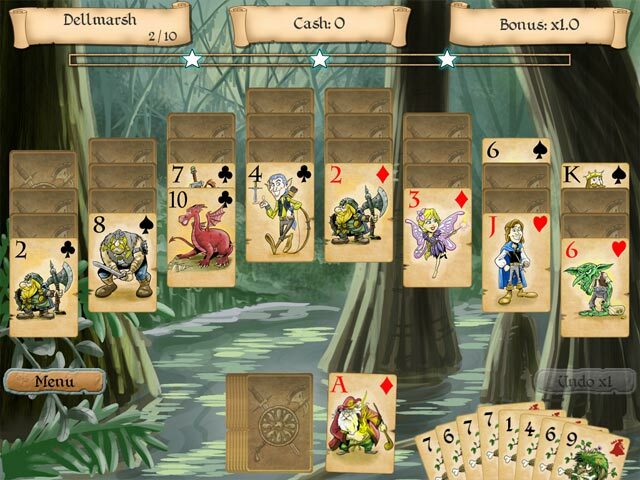 Rated 5 out of 5 by stonebull7 from The MUSIC Game is the regular higher/lower solitaire play. HOWEVER the music is a plus, a BIG plus. It's not distracting, it's delightful. I'm now playing the game under my headset! Rated 5 out of 5 by verimeri from hints for you The first time I paly a solitaire game I just get a feel for it and learn which power ups are useful. So here are my tips....first of all save up and buy the sword for 3500, then buy the broadsword for 3000. As needed buy the potion but usually you can win without it. I achieved 114 perfect rounds the second time I played using only those power-ups. There are only 150 rounds . Rated 5 out of 5 by babe09 from What a lovely game. I have some favorites when it comes to Solitaire games, but this one by far is topping my list. Its got a wonderful romantic feel about it that has really captured my attention. The story line is like a reading a novel with a voice over that keeps my attention until the very last word is spoken. Call me weird, but I appreciate this games ability to relax me and let me drift off into a little fantasy at the same time. Thanks so much for this game. I hope there will be a sequel to it one day! Rated 5 out of 5 by babygirl_cb from Great game I really enjoyed the Legends of solitaire: The lost cards. I wish that it was a longer game and that the story could have gone on longer, adding in some twist and turns. Rated 5 out of 5 by BeeJayBeeisme from Legends of Solitaire: The Lost Cards I purchased this game after my very first demo. This is the one of the best games I have ever played. There are so many different aspects to this game, that you never get tired or bored of playing. Each deal of new cards are always different, no matter how long you play; I tried it. I played straight for 12 hours, and tracked each deal, and they all were different. I highly recommend this game to anyone who loves to play Solitaire. This is one of the best card games I have ever played over a number of years. Rated 5 out of 5 by binxiendinah from A Gem of Solitaire!!! This is one of my favorites along with Avalon, Chronicles of Emerald, Pirates, Faeries, and a couple others! I highly recommend trying this if you have not. Rated 5 out of 5 by AwesumDude from Just plain fun I was surprised how much I enjoyed this card game. It is rather simple to play but I liked the fun character cards that pop up to take away points. Sometimes i think the best games are the simple ones. It doesn't have all the bells and whistles but so what. It is just and enjoyalbe card game to play. It is just plain fun. Rated 5 out of 5 by sereneorchid from A perfect game... …and I’ve never said that before. Beautiful, serene, actual music, which adds a lot to the mood of this game. Love the fantasy characters and the artwork on the cards. Excellent animations. A variety of challenges and power-ups. You’ve probably seen locked cards in solitaire before, but what about a card on fire? Uncover the potion bottle to put it out. Lots of creativity in this game for a complete package of fun. And an untimed option, too. This is on my “to buy” list! 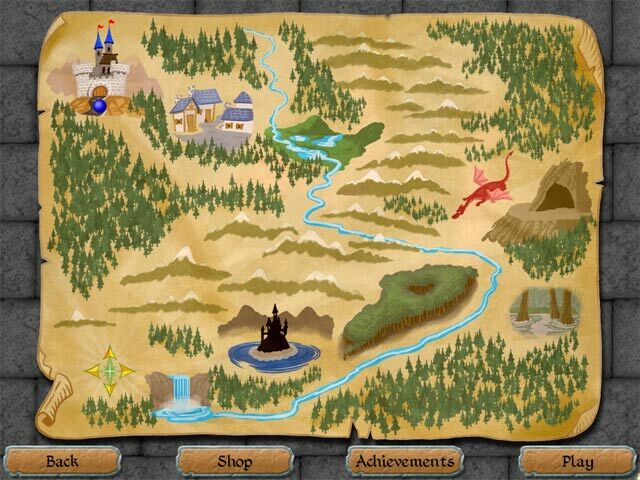 Rated 5 out of 5 by Kalindra_2012 from Great game - relaxing yet challenging I love this game. The gameplay is the standard "golf" style (play card one higher or lower than the current card). The graphics are pleasing to the eye, the music is both interesting & soothing to the ear. I like that from level to level the player accumulates coin to be spent on upgrades ... similar to Fairway but with a medieval story instead. In Casual mode, a charming relaxing game. Still challenging though, as there are targets to meet each level - the perfect mix! Plus there are timed modes for those who want more of a stress-achieve-success type of game ... for me, the casual setting is exactly what I wanted. And the free-play games are perfect for when I have just a few minutes. All in all - my most satisfactory solitaire purchase yet!